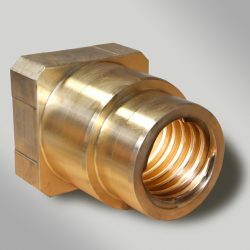 REMPCO produces a wide range of standard and custom threaded nuts to fit practically any application. Each nut is manufactured to exacting standards for uncompromised performance and efficiency. We offer a variety of sizes, designs, and mounting options including flange, pillow block, gear- and clutch drives, as well as anti-backlash in self- and manually adjustable versions. 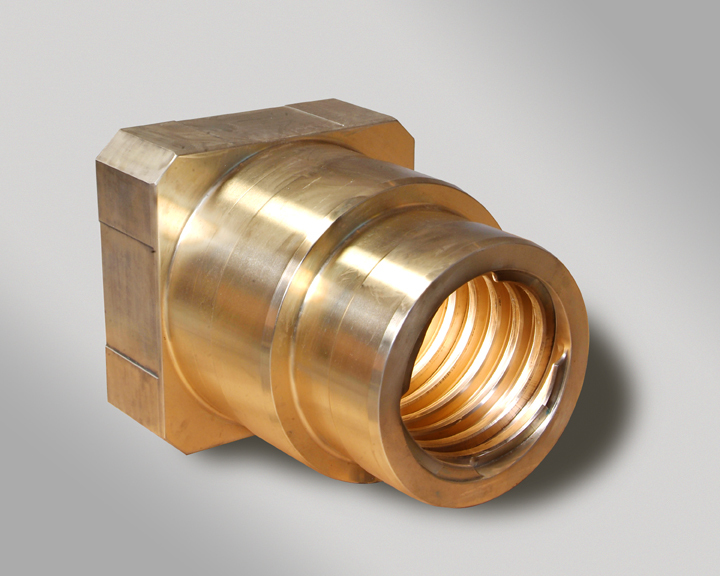 REMPCO self-lubricated nuts are available in polymer and metal alloy materials. 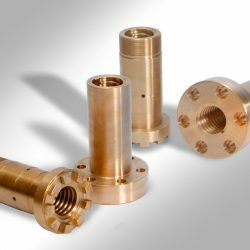 Metal alloy nuts combine the properties of a structural bronze shell with a low friction, Babbitt core to extend lubrication intervals. 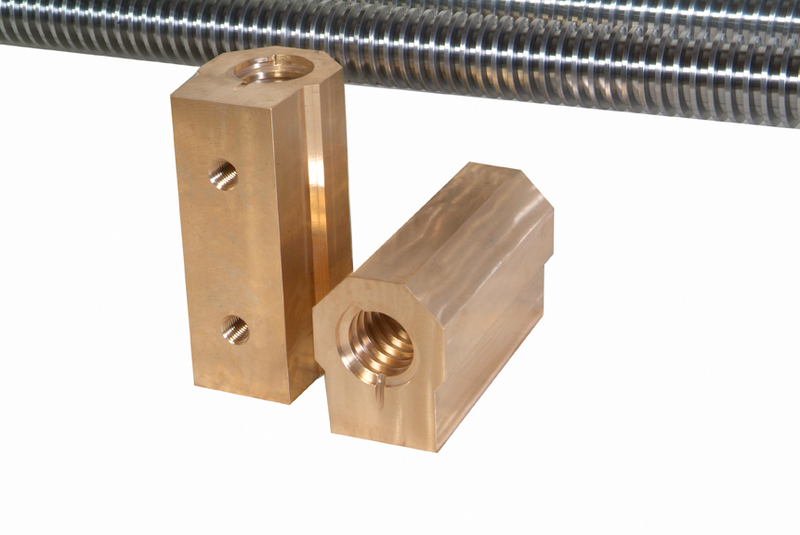 Our custom manufactured safety nuts provide an extra margin of safety for screw elevating applications, as well as a visual indication of wear. 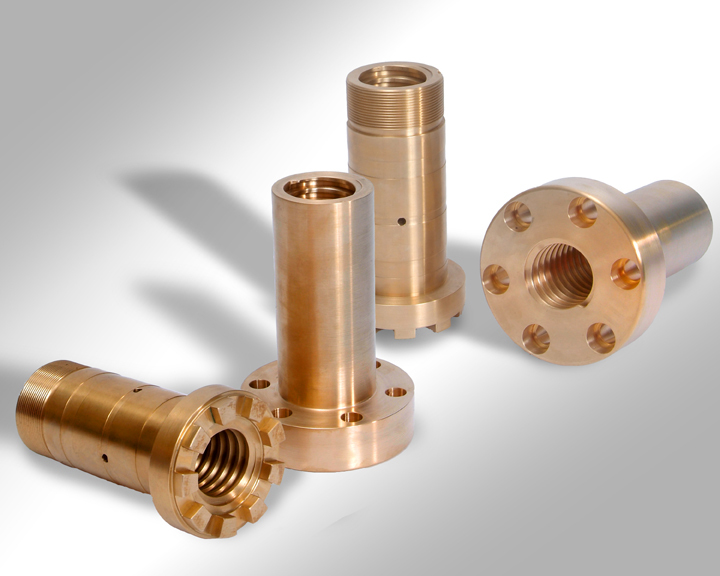 Available materials include lead-free bronze, leaded tin bronze, aluminum bronze, manganese bronze, cast iron, steel, and a variety of polymer options. 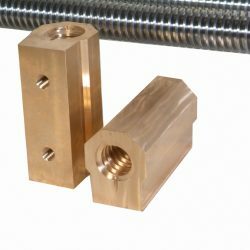 REMPCO is dedicated to providing just the right threaded products for all your machinery needs, whether for industrial applications, or for more specialized purposes. Reach out to us today for replacement parts and custom solutions that work for you!